“Today’s agreement will bring concrete benefits to Europeans. People who have subscribed to their favourite series, music and sports events at home will be able to enjoy them when they travel in Europe,” EU vice-president in charge of the Digital Single Market Andrus Ansip said in a statement. For rights owners, however, the move is more problematic. Many groups, including the Motion Picture Association of America and its European counterparts, along with record companies and sports leagues, opposed the adoption of so-called content portability rules for fear it will erode the system of exclusive territory-by-territory licensing they have long relied on to maximize revenue from international distribution. Many licensing agreements may need to be tweaked to account for extra-territorial viewing. New methods will also need to be devised to authenticate subscribers when they’re accessing services outside of their home markets. And it all must get done within the next 9 months. Financially, the impact of the new rules is likely to be limited, at least initially. Many Europeans already use VPNs to hide their location while traveling in order to access services from home, despite the occasional rights-owner inspired crackdown on their use by Netflix and others. Any revenue loss from that sort of gray-market streaming is likely already priced into the financial terms of existing licenses. While the new rules will make it easier for consumers it’s not clear that they will lead to a significant increase in cross-border viewing. For licensed streaming services the new rules will likely be a positive, albeit a modest one. By extending the services’ geographic reach the new rules could increase the value of a subscription. Insofar as that could help retain subscribers and reduce churn it could shave a little off subscriber acquisition costs, improving margins. For both rights owners and the majority of streaming services, however, content portability is the least problematic element of the EU’s broader Digital Single Market initiative — something Ansip indicated is still very much on the front burner. 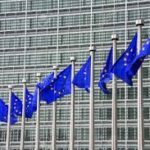 That was widely viewed in Europe as a reference to the proposed overhaul of EU copyright laws released by the European Commission in September. Under that proposal, the so-called country-of-origin principle that currently applies to cable and satellite “retransmission” services, would be extended to online services as well. Under the country-of-origin principle, where a good or a service performed in one country is received in another, the laws of the originating country apply. In the context of cross-border cable and satellite services, that means that a license to offer programming in one EU territory applies in every other territory, even if the service provider has not been specifically licensed to offer the content in that other area. Extending that principle to online services could blow a big hole in the system of exclusive territorial licensing. By establishing that the rights required for the online services of broadcasters that are directly related to their broadcasts (for instance the online simulcasting of their satellite broadcast) are to be cleared for the broadcaster’s country of principal establishment (the principle of the “country of origin”). This will help broadcasters to make the vast majority of their content (news, cultural, political, documentary or entertainment programmes for instance) available online also in other Member States. As a result, consumers should have more choice to watch and listen to online programmes transmitted by broadcasters established elsewhere in the EU. Citizens of linguistic minorities or Europeans living in another Member State should have better possibilities to follow programmes in their mother tongue. That’s great if you’re a broadcaster. But if you’re a rights owner who has licensed your content to one broadcaster in France and another in Germany, not so much. It could also prove highly problematic for service providers, especially smaller service providers. Already, many indigenous local distributors complain they are unable to compete for rights with global services like Netflix, Amazon, and Apple Music, which increasingly are bidding for global rights to content. If local services can no longer guarantee territorial exclusivity it would create an even greater incentive for rights owners to look to global services for distribution. We’re a long way yet from crossing that bridge. It took five months from the proposal being released to reach agreement among the various layers of EU jurisdiction on content portability, one of the least contentious issues on the table, and in truth even longer, as elements of the proposal leaked or were floated months before. Formal debate and negotiations on other aspects of the proposal are just getting started. But if rights holders were hoping that Brexit and political turmoil within the EU my derail the Digital Single Market train, those hopes may now be fading.